Chrissi Ammos Beach Andros: Chrissi Ammos is one of the most beautiful beaches of Andros. It is located on the way from Gavrio, the port of the island, and Batsi, right between Kypri and Agios Petros. The name of the beach literaly means golden sand. In fact, this is a long beach with soft sand and amazing water. It is organized with many umbrellas and sunbeds, while a beach bars offers shade and refreshing drinks. Few watersports are also available. 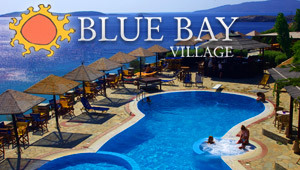 The location of the beach is very convenient as it is found on the central road of Andros. Many accommodation and restaurants are found within the wider region.